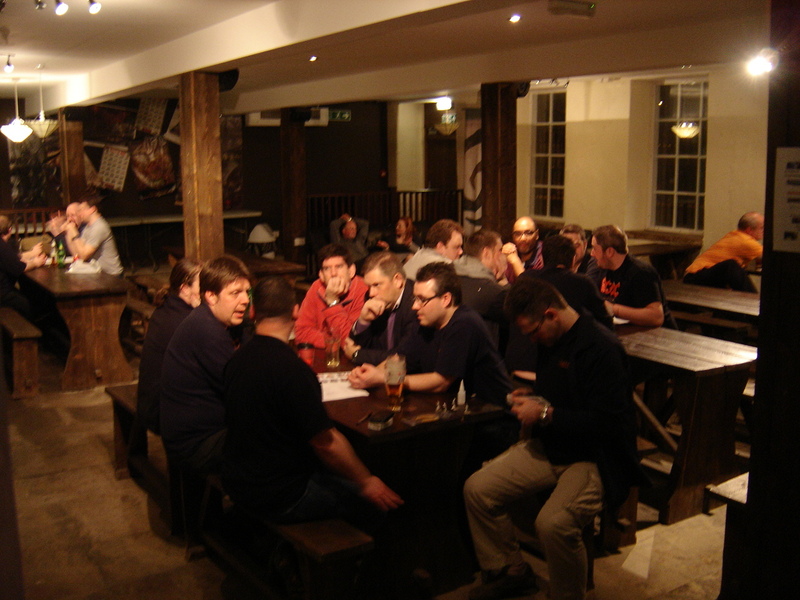 Finally have all the pictures sorted out from our trip, and thought I'd share some of my experiences at the Age of the Emperor - Hammer of the Gods put on by the Tempus Fugitives at the beginning of March (and the impetus behind our recent trip across the pond). I didn't end up getting too many good pictures of the actual games, as most of them were under a strict time limit and I didn't want to disrupt the flow. 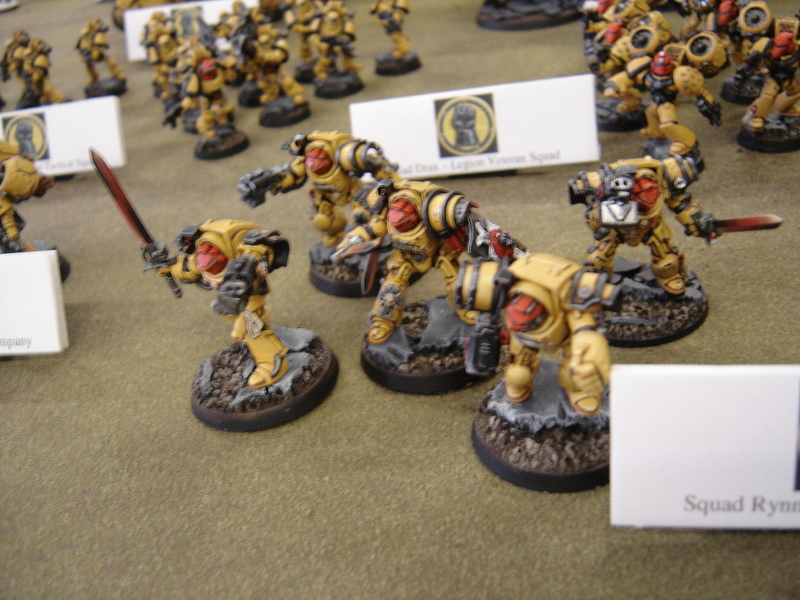 However, on some of the doubles games I had time to snap a couple pics. 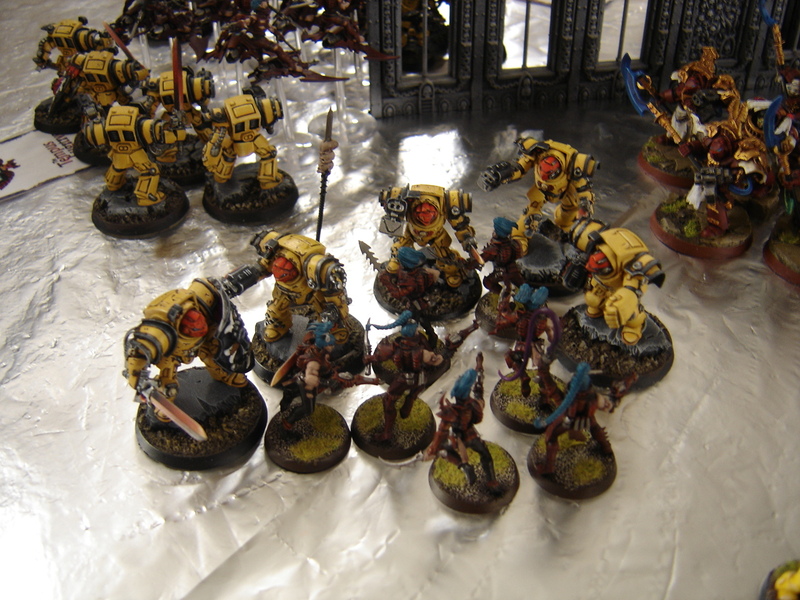 The three above are from a game with my Thousand Sons and Dave's Blood Angels vs. a combined force from the Adeptus Mechanicus. 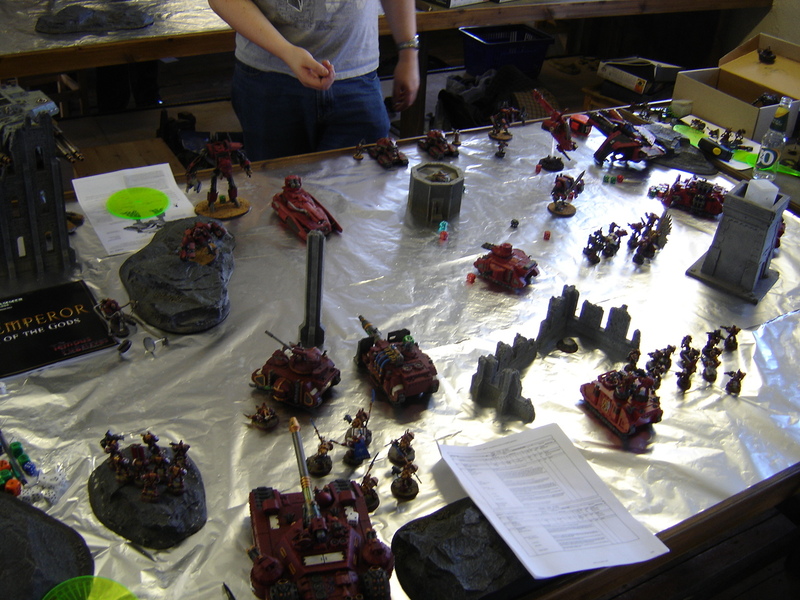 The forces of the Emperor were annihilated by the scions of the Omnissiah, but the game was a lot of fun! 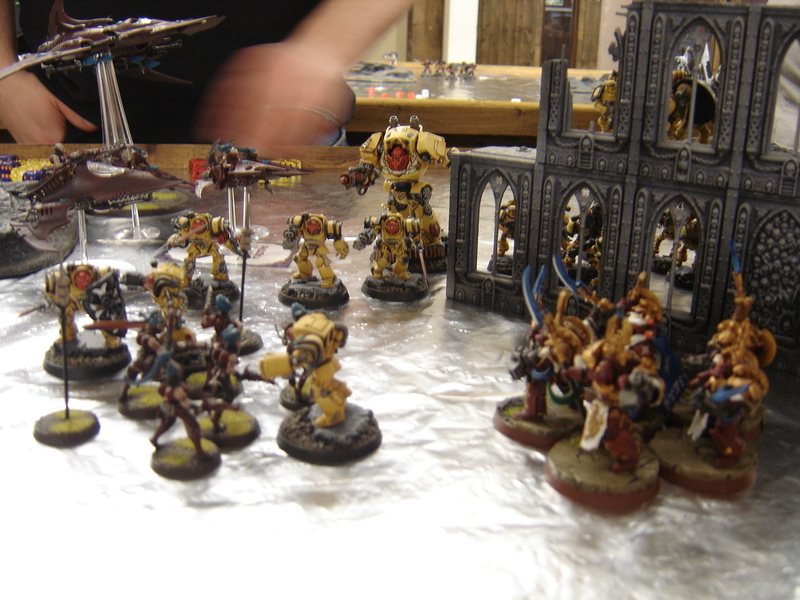 A second doubles game pitted my Thousand Sons and Smudger's Imperial Fists against Craftworld and Dark Eldar. 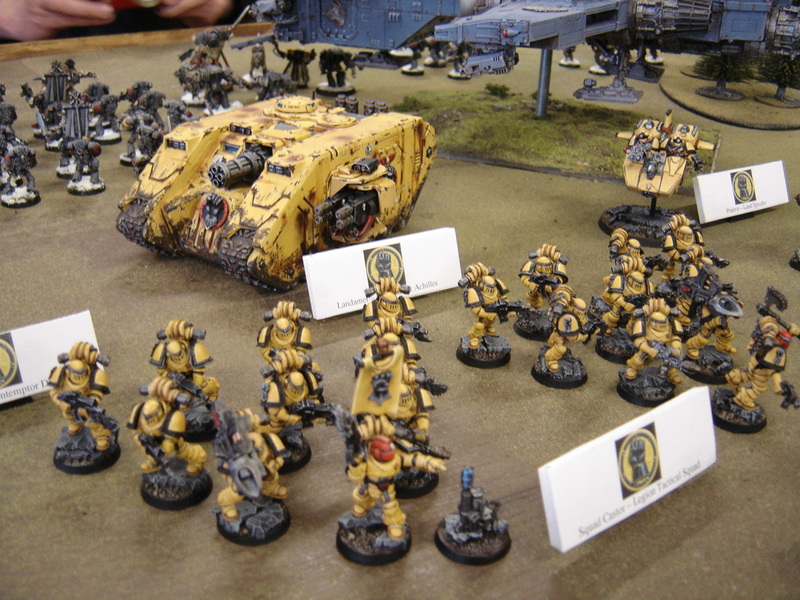 Unfortunately my heavy anti-armor tank battalion had little to contribute and the Imperial Fists were forced to carry out the majority of the slaughter of the foul Xenos. 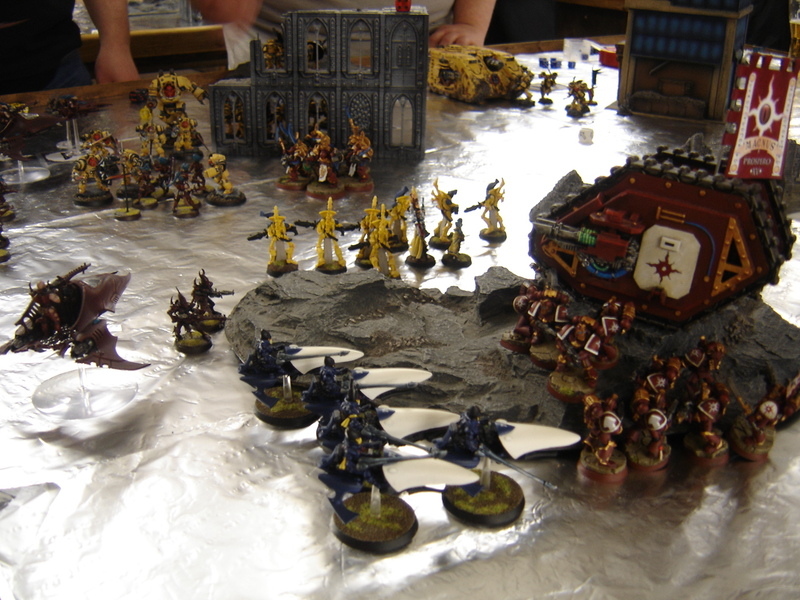 We felt we were doing well, until we realized just how much remained in reserve, and a huge host of Dark Eldar crashed into the left flank. A truly bloodly battle resulted, with most of both sides being annihilated. 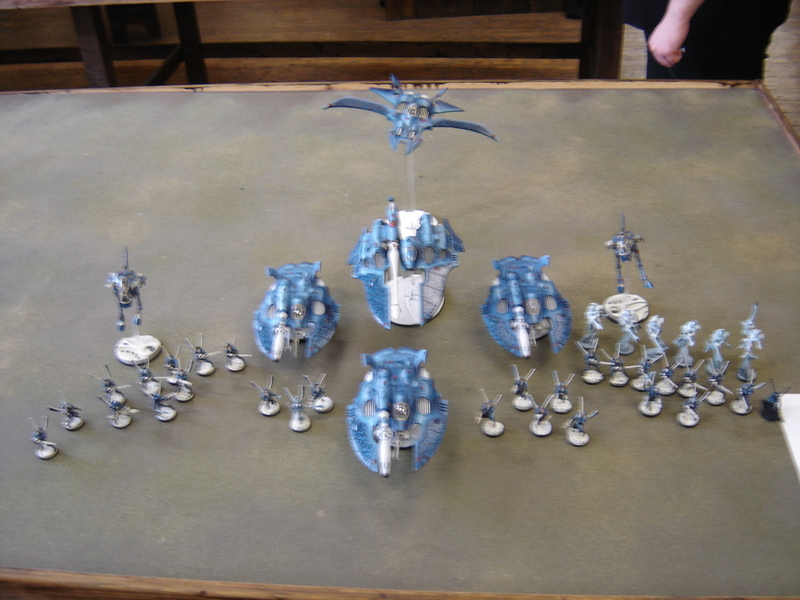 Unfortunately, the Eldar were able to carry out their enigmatic goals and won the game. 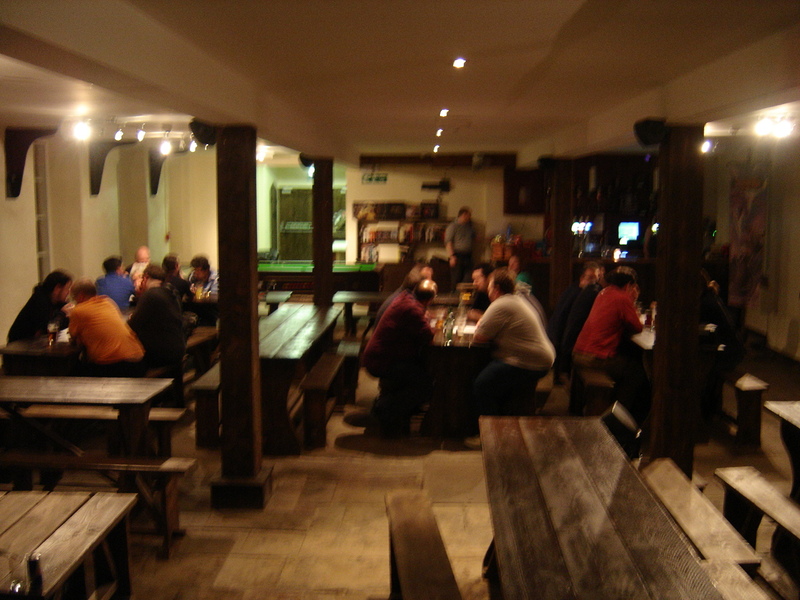 Maelstrom Games , in addition to being a great store with an absolutely amazing gaming area, also has a small pub that served up some excellent food and delicious adult beverages. Now that's civilization! All of the Tempus Fugitives were incredibly nice, staggeringly funny and rather patient for having what were likely boorish Americans in their midst. Hah! 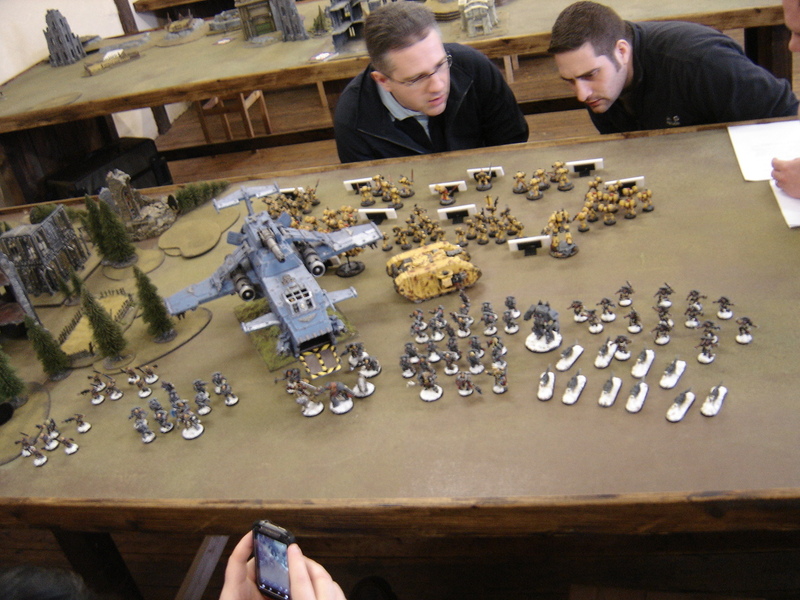 On the second day there was a point where the armies tapped for the Best Army competition were laid out for voting. I was honored with a spot in the finals, but the competition was on a level above what I'm capable of. 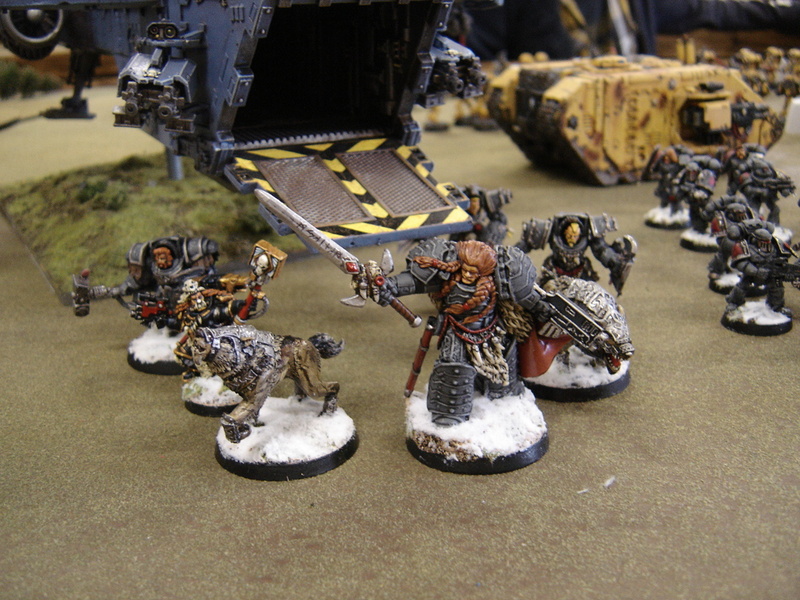 The Space Wolves were simply amazing, The fellow playing them was a fantastic guy, we bantered back and forth all weekend regarding the rivalry between the Wolves and the Sons. 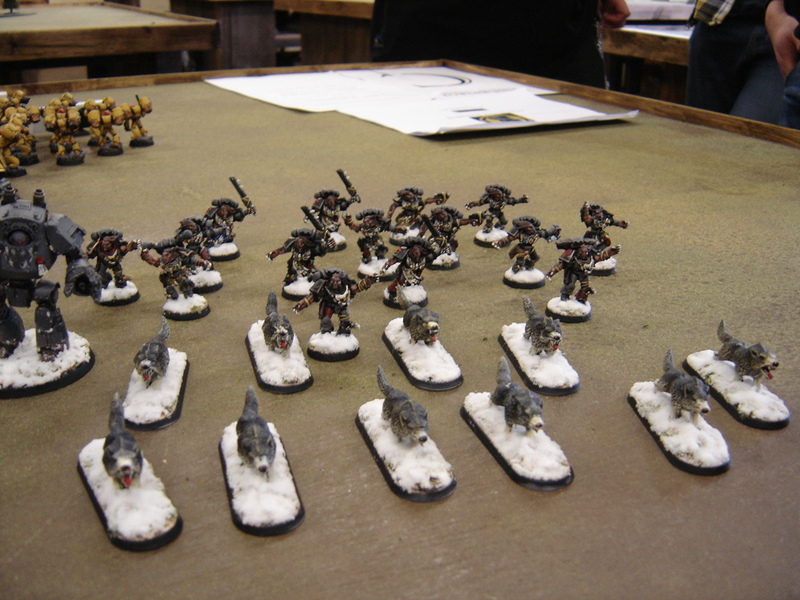 Some more shots of the Space Wolves, every model was just a work of art! 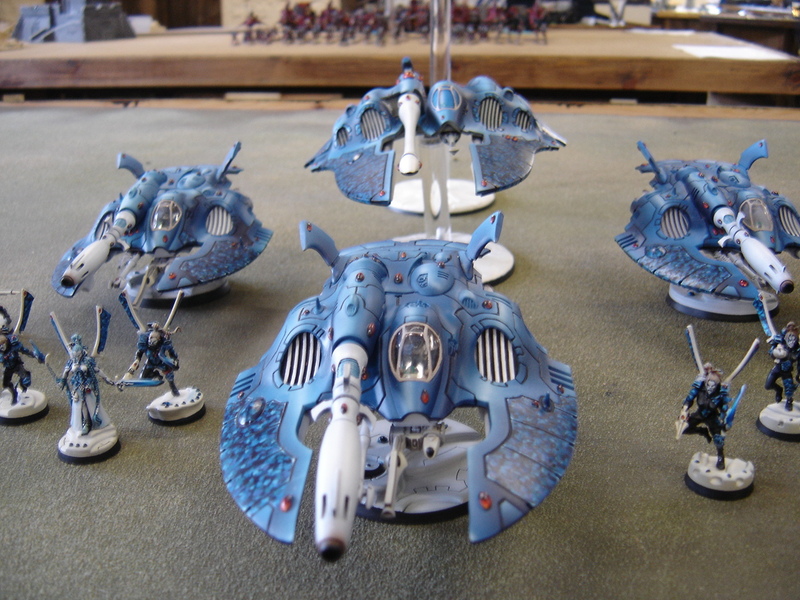 The Eldar Corsair army was simply gorgeous as well, though I never faced off against them over the course of the weekend. 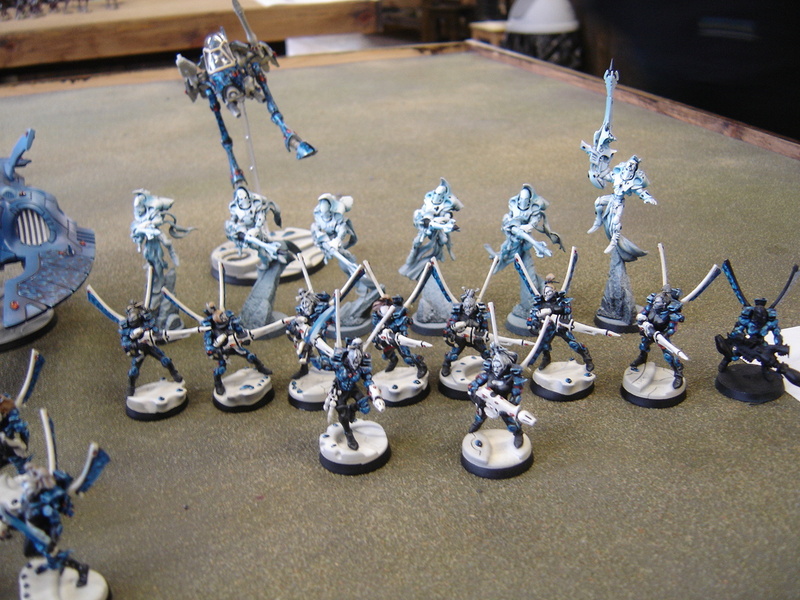 Must... Not... Do another Eldar army... Argh. 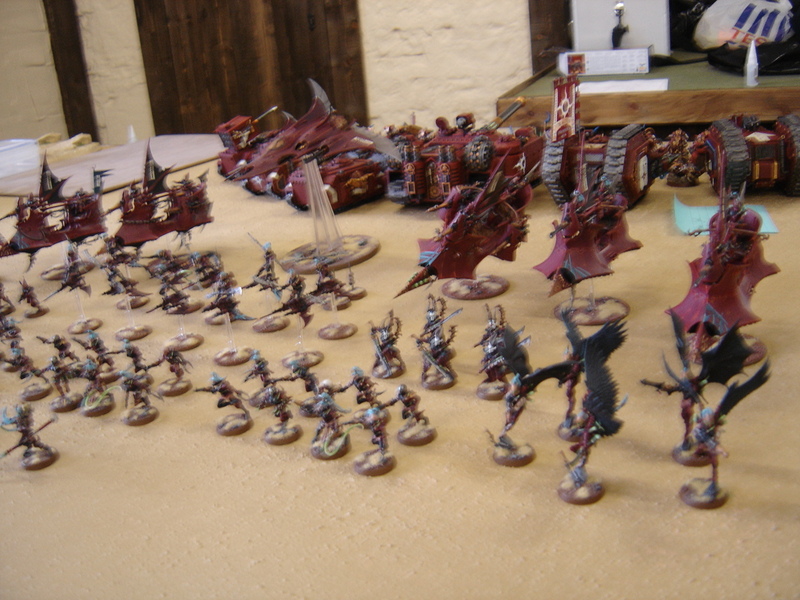 Unfortunately I didn't get any good close-ups of the Dark Eldar army, it was absolutely stunning - and terrifying on the table as I can personally attest. 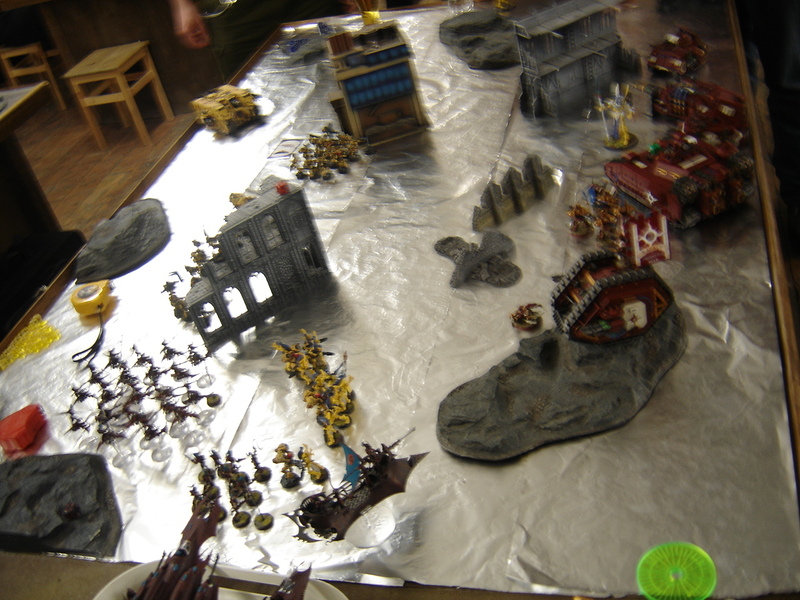 In one of the 1-on-1 1000 point games I was tabled by them in turn 3. 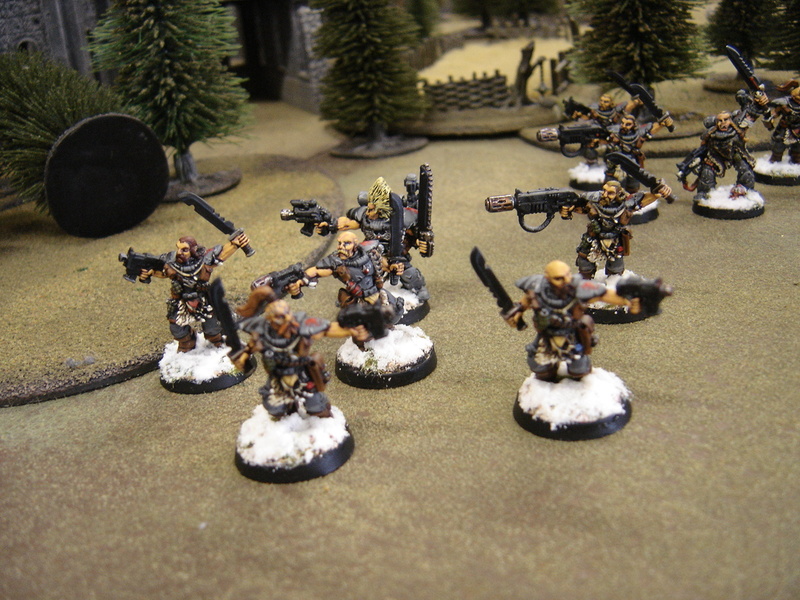 It's a pleasure to be beaten though, when the armies look this nice! 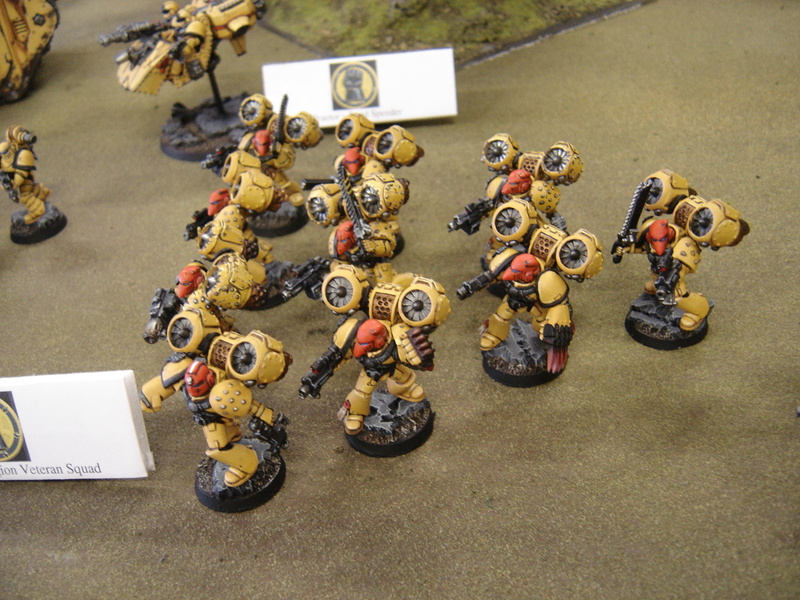 Smudger's Imperial Fists were brilliant! Yellow is such a difficult color to do properly, and he just NAILED it. 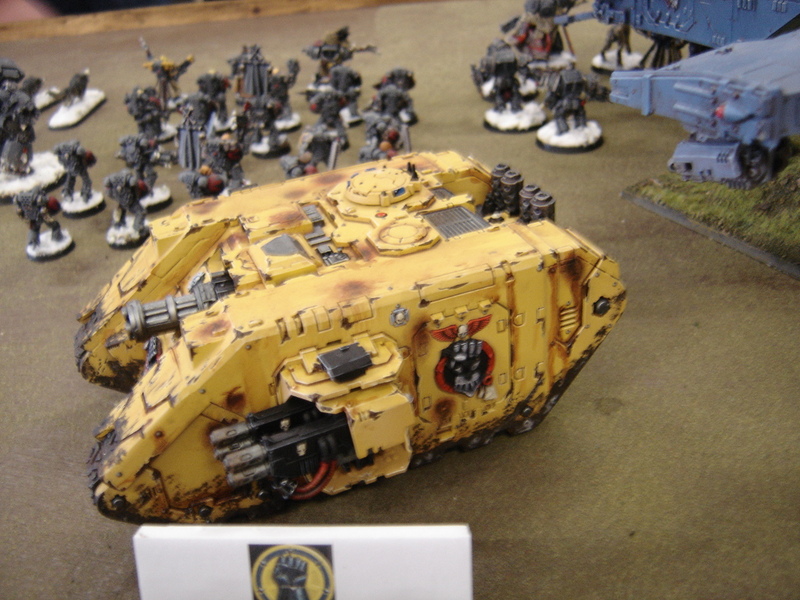 Nearly every model had hand-painted battle damage and all the little customizations were amazing. 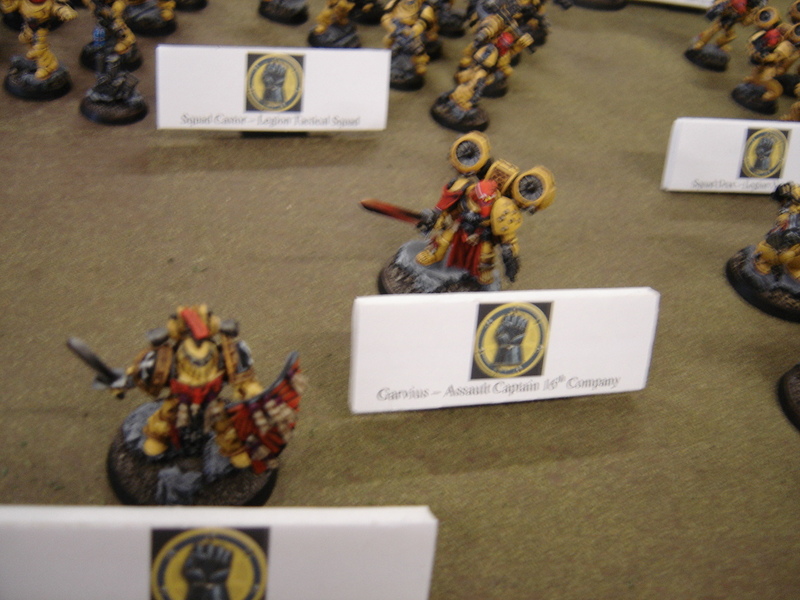 Some more shots - I played several games alongside and against the Fists, you couldn't ask for a nicer guy. 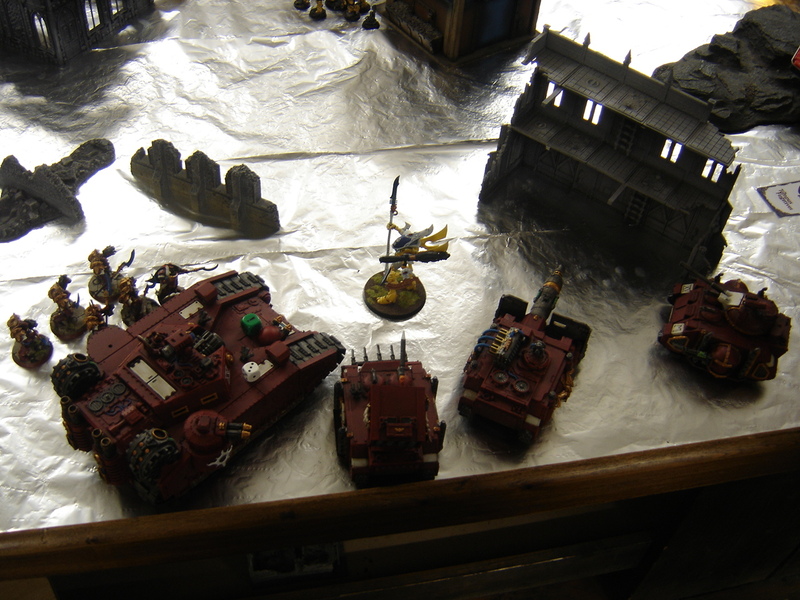 One of the 1000 point games we played against each other was hysterical - due to the adverse terrain effects, one of my units was slammed against a building on to separate turns, essentially slaying them. 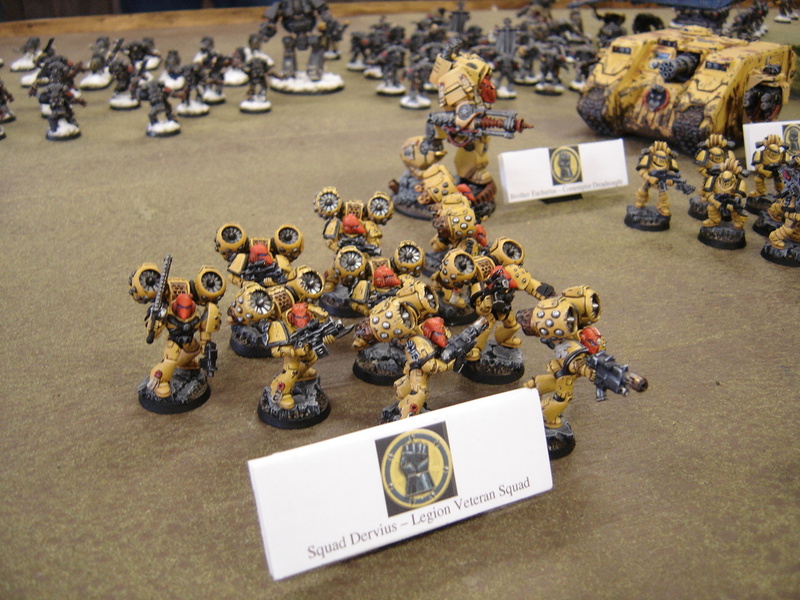 The Imperial Fist player claimed the building in the name of the Imperial Fists, and threatened to use it against me in future games! Heh. 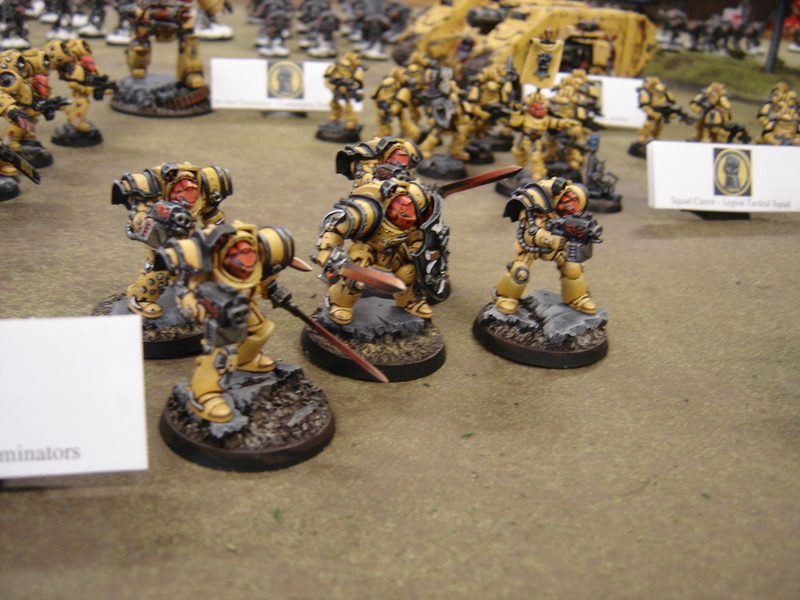 Couple more - The red helmets really make the veterans pop on the tabletop, and they were terrifying in the game to boot! I loved the 2nd/3rd ed. 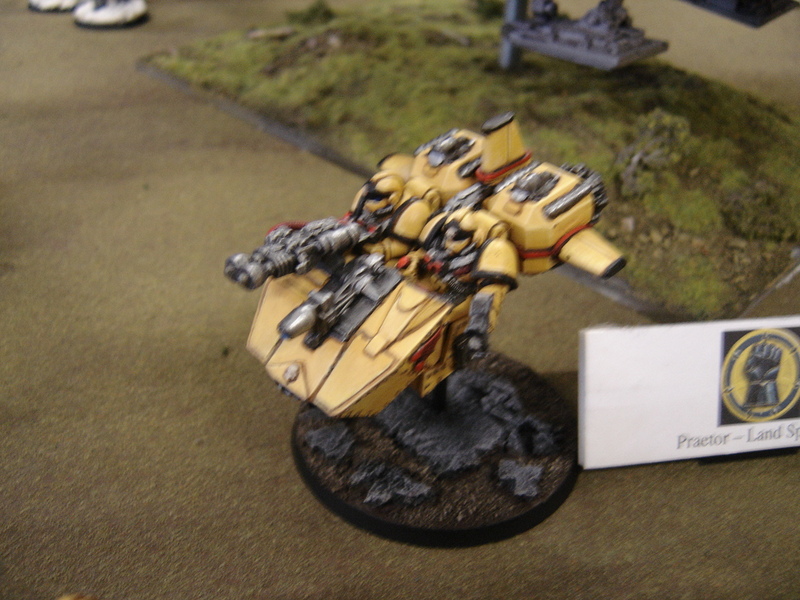 Land Speeder, and his Achilles was a thing of beauty! 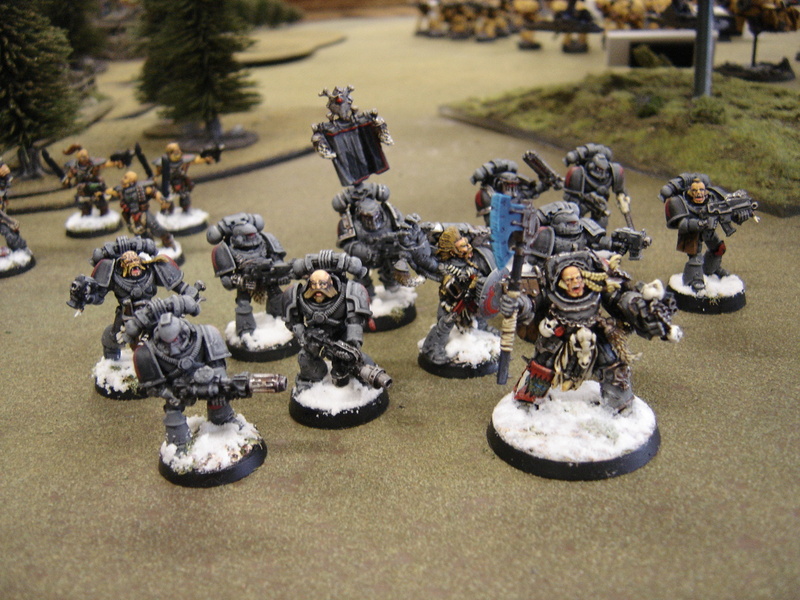 The campaign weekend was an absolute blast, and I had a chance to discuss the possibility of bringing some Heresy-Era gaming stateside in a semi-official capacity. 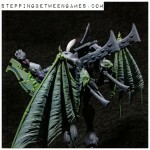 More on that in the near future! 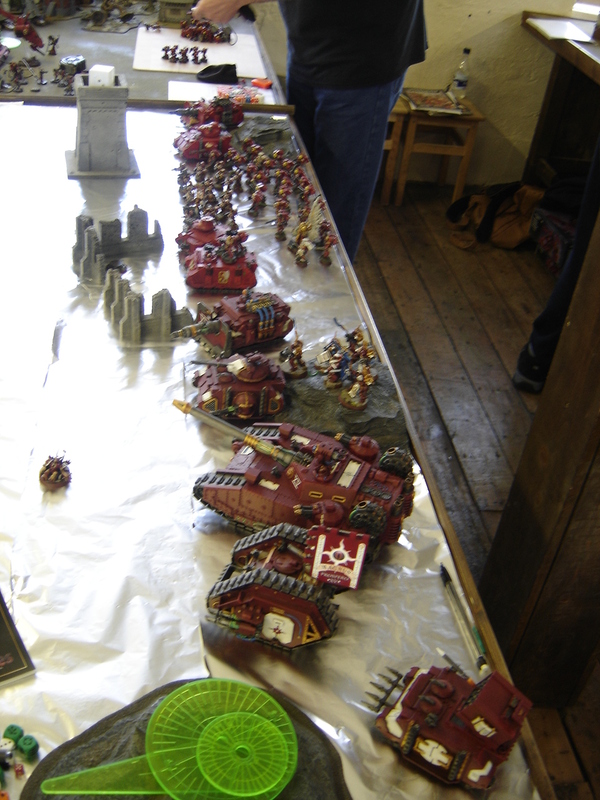 That looks awesome, some of those armies, and I include your Sons in that, and just simply gorgeous. 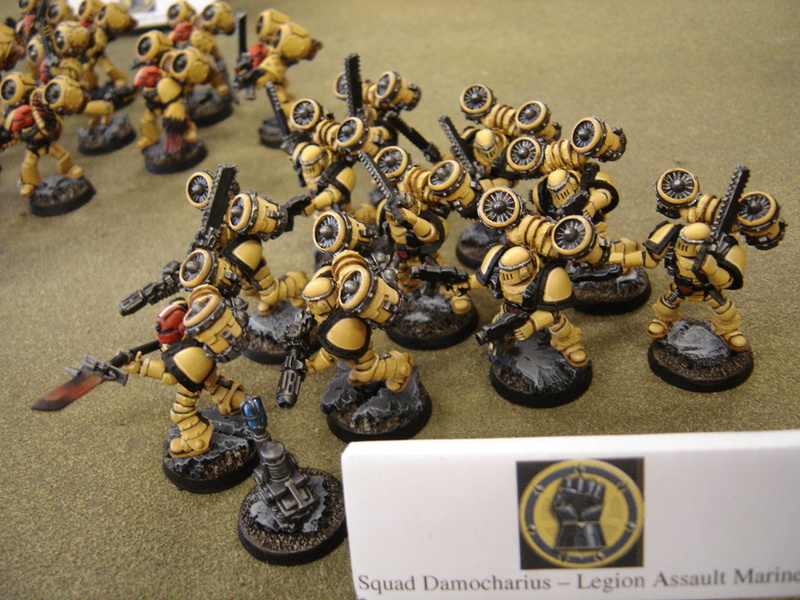 How was the campaign, were the games themed and did the results affect the later games? 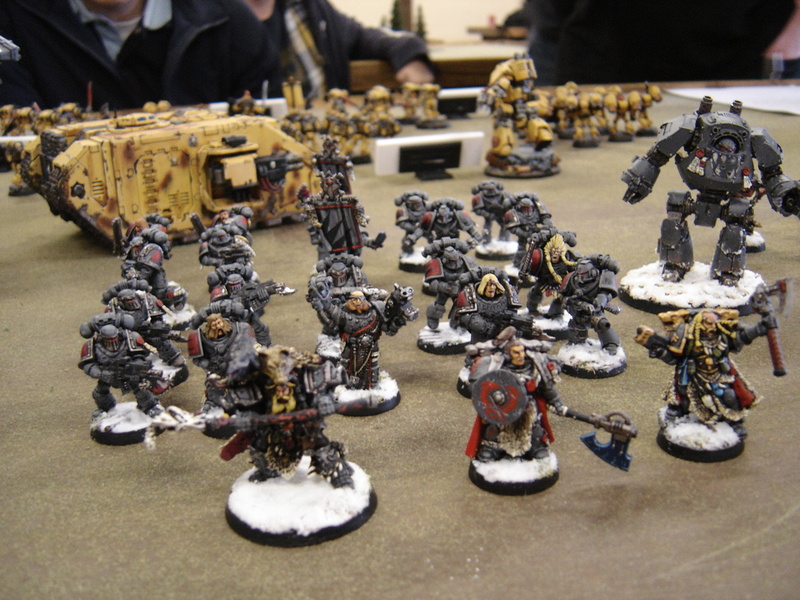 I've not been to Maelstrom Games, I didn't realise they had so much there. I have to ask though, why is there a table covered with what appears to be kitchen foil? 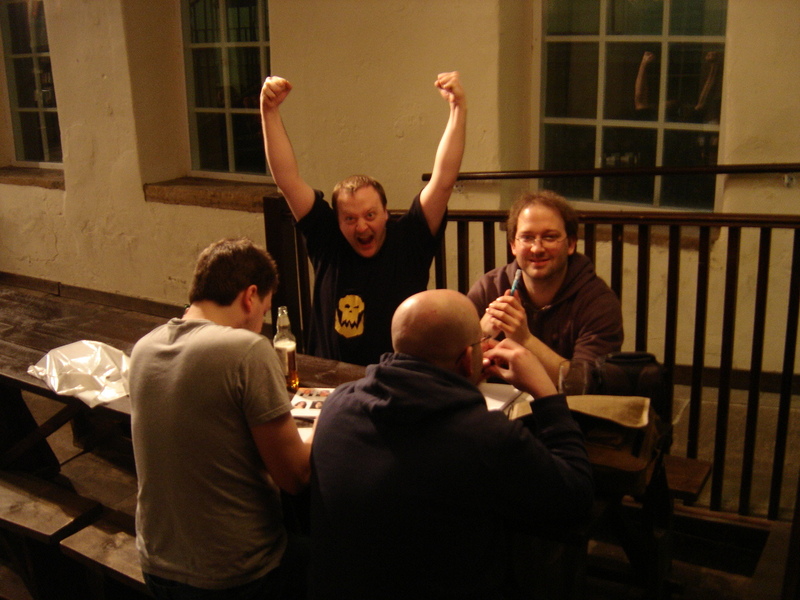 Indeed - the whole trip was a blast, and Maelstrom Games is a really cool place! 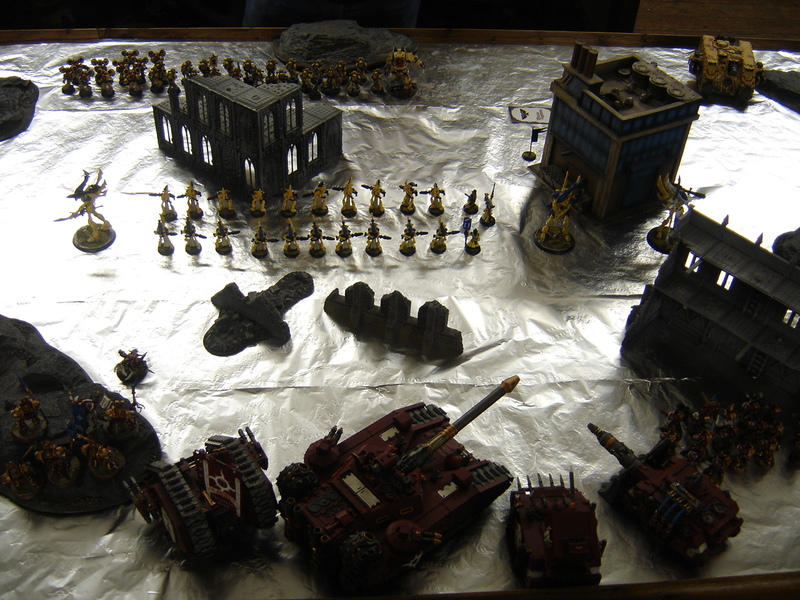 As far as the tinfoil, the campaign was set on a massive metallic (presumably necron) tech-world. Made for some reflective pictures unfortunately, but it was suitable for the setting!